If ever there was a firearm that should receive title billing in a movie, it was the Smith and Wesson Model 29 .44 Magnum used in Dirty Harry. Words can be powerful. Nations go to war over words. People fall in love over the turn of a phrase. Words can be frivolous, powerful, dangerous, or inane. These particular words, likely penned by the legendary John Milius and spoken by Clint Eastwood in character as Dirty Harry Callahan, are some of the coolest ever captured on film. But for a remarkable turn of fate, they could have been uttered so much differently. Dirty Harry defined Clint Eastwood’s career. Harry was originally supposed to be played by Frank Sinatra. The role was also offered to John Wayne, Burt Lancaster, Steve McQueen, George C. Scott, and Paul Newman. They all passed on the project citing its excessive violence. It was on the strength of Newman’s recommendation that the producers offered the role to Eastwood. If ever there was a firearm that should receive title billing in a movie, it was the Smith and Wesson Model 29 .44 Magnum used in Dirty Harry. The synergistic combination of Eastwood’s inimitable presence and the Model 29’s unparalleled power created an enduring cinematic icon. At a time when the Age of Aquarius threatened to castrate American virility, Dirty Harry gently reminded the world that we Americans were still the baddest boys on the block. 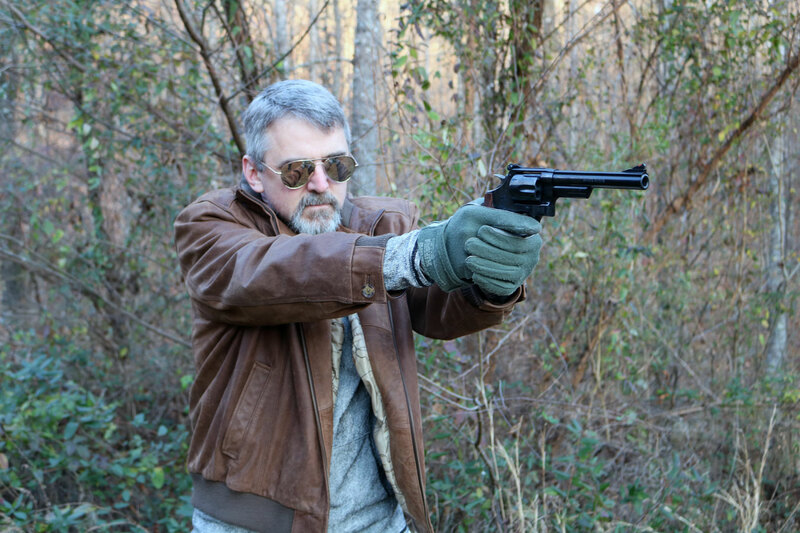 The Smith and Wesson Model 29 .44 Magnum is capable of fine combat accuracy. Elmer Keith was the father of the .44 Magnum. In the early 1950s, Elmer began experimenting with the .44 Special cartridge to produce something more powerful, and therefore better suited, for big game hunting. Once he devised the round, he approached Smith and Wesson and Remington about producing a gun to fire it. The S&W Model 29 first drew breath on December 15, 1955, and was offered for retail sale a month later with an MSRP of $140. That’s about $1,280 today. 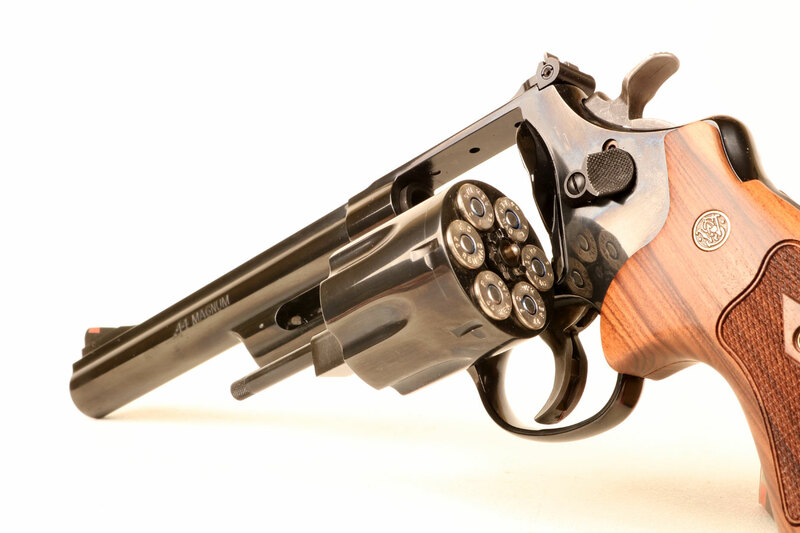 The S&W Model 29 evolved through 10 different sub-variants between the mid-1950s and present. The gun has always been popular, but the 1971 release of Dirty Harry made it difficult for dealers to keep them stocked. While the pistol and cartridge have been subsequently eclipsed by such beasts as the .454 Casull and .500 S&W Magnum, in its day the .44 Magnum was indeed the most powerful production handgun in the world. The Model 29 starts with a carbon steel frame and includes a fixed red ramp in front and an adjustable rear sight. The single action/double action trigger is wide and comfortable sporting the same slick greasy mechanicals for which Smith is justifiably revered. The 6.5-inch carbon steel barrel gives the gun an overall length of an even foot. The Model 29 has been produced in a variety of barrel lengths, but this one was Harry’s. 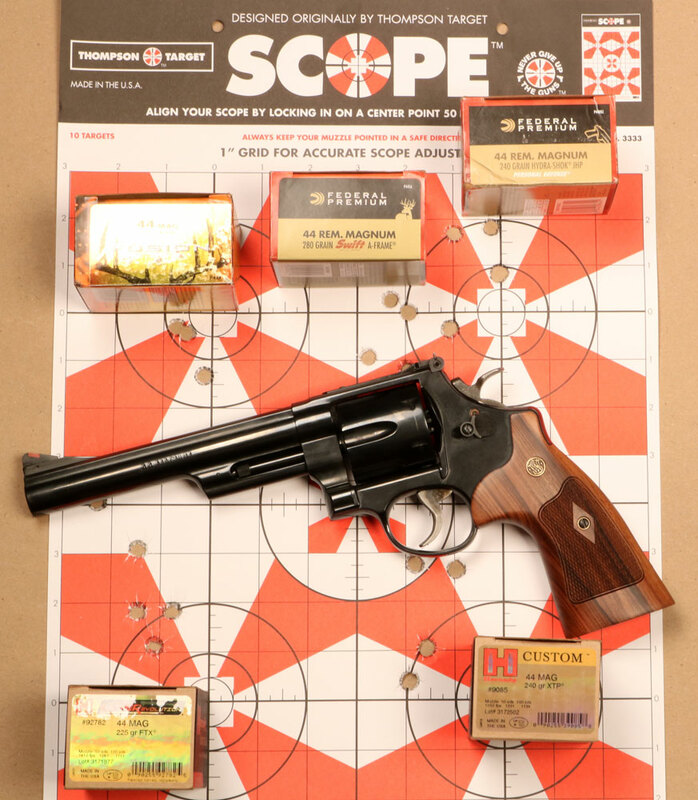 The Model 29’s greasy smooth action makes reloads fast by revolver standards. The cylinder, frame, and barrel are all beautifully blued, while the unpretentious walnut grips exude a timeless American power vibe. There is just something mystical about the synergy of all these graceful lines that causes an inevitable surge in serum testosterone. Just gazing upon it will make your heart race. Question my manhood if you must, but I do not find running the Model 29 .44 Magnum to be a particularly enjoyable experience. The Model 29 will push less energetic .44 Special rounds as well, and those are indeed fun. Full power .44 Magnum loads, however, peg my fun meter in fairly short order. The greasy, smooth, double action/single action trigger should hang in the Louvre as the very physical manifestation of mechanical art. The gun’s particulars such as the cylinder release, ejector, cylinder fit, and sights are the embodiment of ballistic perfection. Prodigious recoil notwithstanding, the gun shoots better than do I out to fifty meters or more. 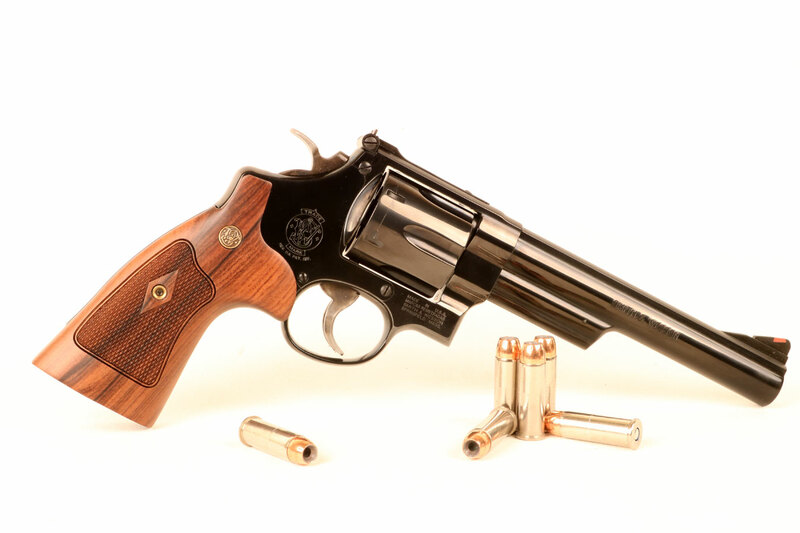 The classic blued Model 29 with its Dirty Harry-esque 6.5-inch barrel is currently offered on the Smith and Wesson website with an MSRP of $1,169. Adjusted for inflation this is about what they cost back in 1956. You don’t typically buy one of these massive wheelguns to really shoot much. Most of us just stare lovingly at ours. Simply hefting the thing will reliably give you the tiniest little twitch to your eye and sprinkle a little gravel in your voice. In a pinch, it will also likely blow a man’s head clean off. * Group size is the best three of four rounds measured center to center fired from a simple rest at fifteen meters. 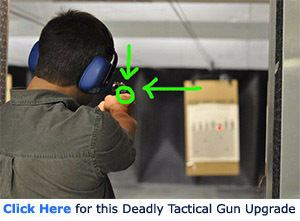 Velocity is the average of three rounds fired across a Caldwell Ballistic Chronograph oriented ten feet from the muzzle. Are you a fan of the big bore magnums? How many rounds can your fun meter tolerate? Share your answers in the comment section.